Gov. 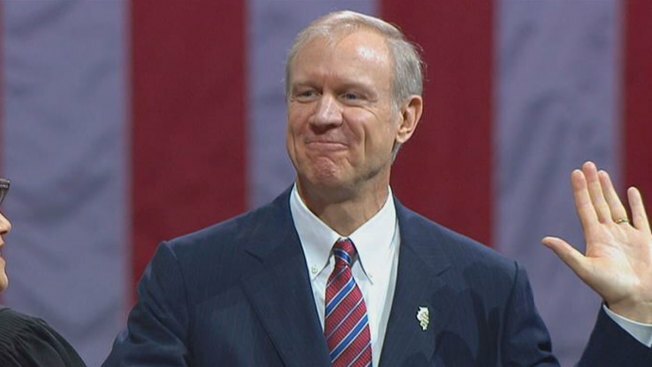 Bruce Rauner signed an executive order Monday in Springfield creating a new Illinois Department of Innovation and Technology. According to Rauner, the new agency will improve operations of information technology services and save the state money, but the governor was vague in his assessment of the state's potential savings. "We believe very quickly we will begin to derive significant cost savings, massive long term savings," Rauner said. "It's many hundreds of millions, billions over time." The state of Illinois spends an estimated $800 million on information technology services with 1,700 state workers employed in the field. It is not clear how much it will cost the state to make the new department operational or how much of the state's IT workforce will be absorbed by the new agency. The new department will be headed by Hardik Bhatt. Bhatt was previously named Chief Information Officer by Rauner in March of last year. The Rauner administration did not respond to Ward Room’s request for comment.